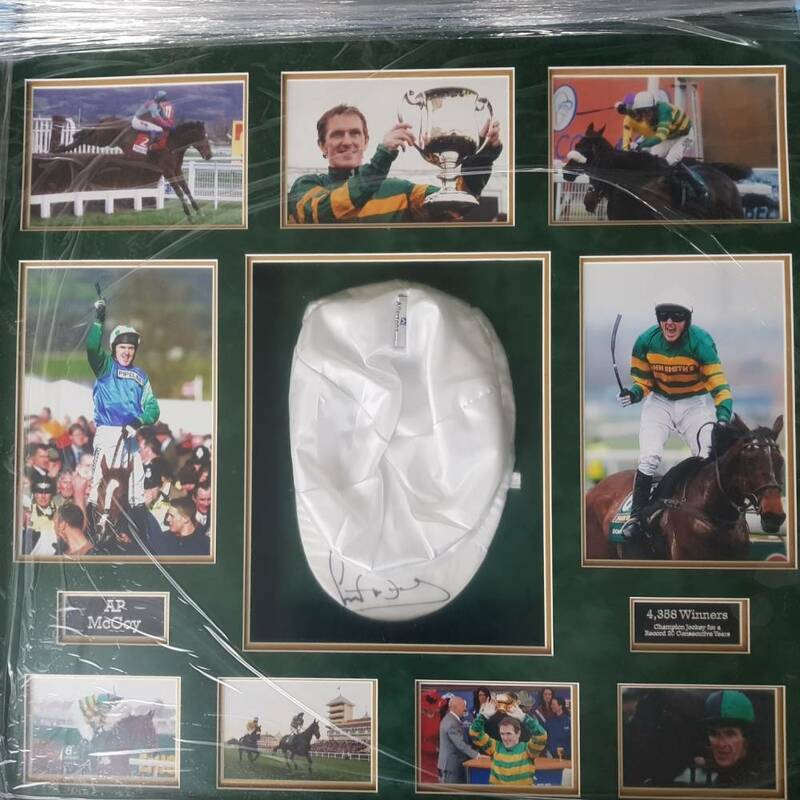 A large framed display featuring a white jockey cap hand-signed by former jockey Sir Anthony Peter McCoy, OBE. McCoy was named BBC Sports Personality of the Year in 2010, becoming the first jockey to win the award. On November 7, 2013 McCoy rode his 4,000th winner, riding Mountain Tunes to victory at Towcester. McCoy was Champion Jockey every year he was a professional and was knighted in January 2016. The item is framed and glazed and included within all lots on display.